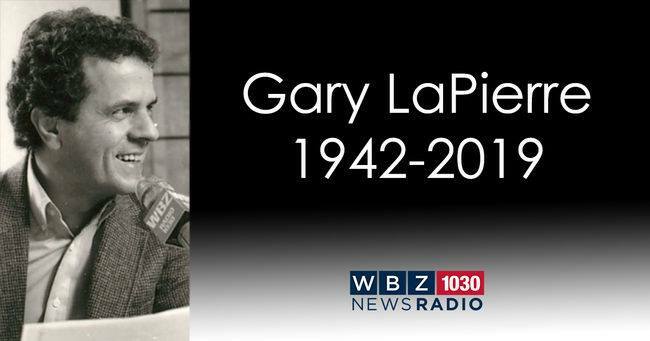 Gary LaPierre, the WBZ NewsRadio news anchor, passed away last night at home in Ipswich last night. Gary's contributions to reporting local, state, national and international news were punctuated by his amazing voice and calm demeanor. As a news anchor and commentator he was heard by millions of listeners over his 43 year career at WBZ. Gary created a lifetime of high caliber work; his commitment to help non-profit charities, and the positive influence he had on so many led to his induction into the Massachusetts Broadcasters Hall of Fame. He was a news legend, a kind man, and he will be missed.